Will the human species continue to gain greater insight and new perspectives about planet Earth and the universe as we enter the new era of commercial space activities? It looks like we will be finding out in the near future. Commercial space travel continues to move forward with the recent announcement by Boeing that it will partner with a firm called Space Adventures. Boeing’s Crew Space Transportation-100 (CST-100) capsule, in development now, is envisioned as having room for seven passengers and Space Adventures will help promote, market and sell seats aboard it. The capsule should be ready for launch in 2015. The CST-100 will be boosted into low Earth orbit by privately-built rockets and is planned to provide transportation for astronauts and cargo to and from the International Space Station (ISS) as well as private, commercial orbiting space stations. Soon, many more people will have the experience that has primarily been the domain of American astronauts and Russian cosmonauts. Boeing has also teamed with Bigelow Aerospace, a Las Vegas-based company that has acquired NASA-designed concepts for expandable, flexible-hulled habitat modules that will be used in low Earth orbit space stations or, eventually, even as stations on the moon. Bigelow Aerospace has already successfully launched two smaller-scale prototypes and plans to have a station in orbit by 2014 or 2015. Using multiple layers of Vectran (twice as strong as Kevlar) for the outer shell of the modules, Bigelow Aerospace notes that this design is safer than conventional hard-hulled spacecraft when it comes to any contact with space debris. The Vectran design has been robustly tested and stands up to significant impacts with little or no damage. The inflatable design is also more efficient to launch due to reduced size and weight. Space Adventures is also planning to play a role in booking stays at orbiting space stations. They have an agreement in place with two Russian companies, RSC Energia and Orbital Technologies, which also plan to build an orbiting space station currently being referred to as the Commercial Space Station (CSS). 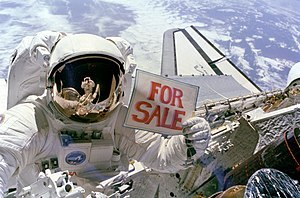 What will the clients of commercial space activities encounter? Certainly the experience of microgravity and looking out a window at the beautiful planet below, over the Earth’s horizon and into space will be life-changing for many passengers on the CST-100 and orbital space stations. Media and communication projects following these developments could allow millions of people to share the experience of being in low Earth orbit and appreciate new perspectives of our precious planet and the life it provides for us. Additionally, scientific and manufacturing research can be conducted in microgravity to yield new discoveries and progress. And, as some astronauts and cosmonauts have reported, sometimes unconventional unidentified phenomena might be seen or experienced out in space. These situations could also provide commercial space travelers greater understanding and an even more exciting adventure. The technological requirements and advancements involved in commercial space travel will undoubtedly ripple through our economy and society, affecting us here on Earth too, just as NASA similarly triggered many kinds of scientific and technical progress during past decades. But, ultimately, some of the most significant outcomes of commercial space activities may be the appreciation of our simultaneously resilient and fragile planet, our attempts to comprehend the much larger picture of Earth’s vastly diverse plant and animal life, and trying to learn more about our place in this mysterious cosmos.